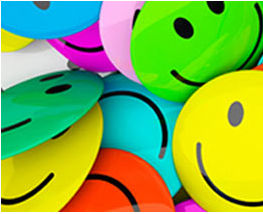 Join us and 100,000 others in Berkeley's new online course on the "The Science of Happiness". Taught by world leaders in positive psychology from Berkley's Greater good Science Center, there will be Q&A session with the likes of Dacher Keltner, Sonja Lyobimursky, and Barbara Fredrickson. This free MOOC is a unique opportunity to learn the fundamentals of positive psychology to inform your work technology (and life). We've been invited to lead the Positive Computing "dojo" which will bring together those interested in applying wellbeing psychology to the development of technology.